Did you just find out that you are the Executor of the estate of a recently deceased loved one? Is this the first time you have served as an Executor? If so, you are probably experiencing some trepidation at the thought of overseeing the probate process for the first time. In addition, you are undoubtedly grieving the loss of your loved one as well, making it even more difficult to focus on your duties and responsibilities as the Executor. 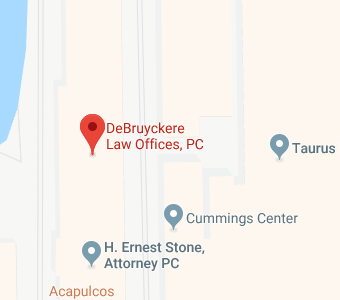 At DeBruyckere Law Offices, we understand what a difficult time this is for you. To help you get started, we have put together a number of useful probate resources for Londonderry, New Hampshire. If you have specific questions or concerns during the probate process, please feel free to contact the office and set up a consultation. As the Executor, you will need to initiate the probate process in the county in which the decedent was a resident at the time of death. Assuming the decedent lived in Londonderry, New Hampshire, the appropriate court is the Rockingham County Probate Court, located in Brentwood, New Hampshire. You can locate commonly sought after information, such as the court address and telephone number, on the court’s website. Unless the decedent’s estate is small enough to qualify for an alternative to formal probate, it is in your best interest to retain the services of an experienced estate planning attorney to assist you with the probate of the estate. If, however, you decide to proceed pro se, or without the assistance of an attorney, you may find some assistance at the New Hampshire Judicial Center Self-Help Center. The Forms and Fees section of the website may also have forms you need a long with information regarding any applicable fees. If you proceed without an attorney, you will also need to learn the court rules and review applicable New Hampshire laws. If you were recently appointed the Executor or PR of an estate, one of the first decisions you should make is whether or not to retain the services of an estate planning attorney to assist you. You may proceed as a “pro se,” or self-represented litigant; however, keep in mind that the court will expect you to understand all of the applicable laws and court rules. If the estate is relatively modest and uncomplicated, it may not be necessary to hire an attorney. Probating a moderate to large estate, however, without the assistance of an experienced attorney can be challenging. Furthermore, proceeding without the help of an attorney could lead to mistakes that cost everyone involved both time and money. If you decide to consult with an attorney, one excellent resource for locating an experienced estate planning attorney in your area is the American Academy of Estate Planning Attorneys, AAEPA. The AAEPA is a national association of attorneys who have chosen to focus their practice on legal matters relating to wills, trusts, and estates. You may also wish to contact the New Hampshire Bar Association’s Lawyer Referral Service for help locating an attorney. As the Executor of the estate, there is a good chance that you are also responsible for making funeral and burial arrangements for the decedent, uncles the decedent pre-planned his/her service. If so, Peabody Funeral Homes is located in Londonderry and offers a full range of funeral and burial services. For the purpose of probating the estate, you will also need to obtain several certified copies of the decedent’s death certificate which can be secured from the New Hampshire Department of State, Division of Vital Records Administration. The application form and instructions are located on the N.H. Department of State’s website. In addition, you may need copies of ownership documents for any real property owned by the decedent which can be obtained through the Rockingham County Registry of Deeds. Finally, one of your duties as Executor will be to ensure that notice is given to all potential creditors of the estate. For unknown creditors, you will be required to publish the notice of probate in a local newspaper. The News & Observer is one option for fulfilling the notice requirement. All estates are potentially subject to federal gift and estate taxation. If the decedent’s estate owes any federal gift and estate taxes, they must be paid before any assets can be transferred to beneficiaries of the estate. A general overview of the federal gift and estate tax obligation can be found on the “Estate Tax” page of the Internal Revenue Service’s website. You may also find the answers to specific questions regarding the federal tax on the IRS’s “Frequently Asked Questions on Estate Taxes” section. If you have additional questions or concerns about your role as Executor, contact the experienced New Hampshire estate planning attorneys at DeBruyckere Law Offices by calling (603) 894-4141 to schedule an appointment.